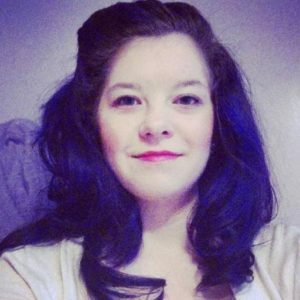 Today’s interview is with Instafreebie’s Director of Business Development, Ashley Durrer. InstaFreebie was created in 2014 with a mission to accelerate great stories and big ideas. As the book world’s leading platform for exclusive access to sneak peeks, advance previews, and special giveaways, we live our mission every day and give readers a chance to SEE IT FIRST™. How to use Instafreebie to gain new readers and email subscribers. There are different levels for authors to join (basic plan, plus plan, and pro plan) each offering different features. The whole concept is that you give away a free book, partial book or sneak peek and readers opt-in to your mailing list in order to receive their free content. Load your book as an epub document and Instafreebie will convert it to a mobi (for kindle) and pdf file. Ashley mentions that an equal amount of people (roughly) are downloading pdf’s and epub files combined, compared with mobi kindle versions of books. This is good news for authors wanting to sell across all platforms (rather than be exclusive to Amazon) as there are readers on Instafreebie that are not just from Amazon. Instfreebie subscribers tend to be avid readers (not just freebie hunters) and are therefore much more engaged subscribers. It can be difficult for children’s book authors to load larger files on Instafreebie if they have lots of illustrations, so you can contact support for help at support@instafreebie.com and they will work with you to get your book up. Instafreebie has been particularly great at facilitating joint author promotions. The main reason for this is that authors can create a page where all the giveaways are listed and promote this one page. When readers arrive at the page, they click the books they genuinely want to download, subscribing through Instafreebie to YOUR list (if they picked your book). Instafreebie then delivers the free book to your new reader and adds this person to your list. If you are with Mailchimp Instafreebie can automatically add the readers to your list (and thereby your automated sequence). If you are not using Mailchimp, you can manually move your list from Instafreebie into your email provider list. In terms of promoting the author giveaway page, you can use the hashtag #instfreebie to help spread the word, post it on social media and get more attention to your giveaway. You can also let Instafreebie know you are running a joint promotion and they will often help by promoting it through their emails too, really boosting reader eyes on your promotion page and book. You can email production@instafreebie.com to let them know if you are running a joint author promotion. Instafreebie also loves hosting EXCLUSIVE book giveaways that are not available for sale or download anywhere else. This could increase your book download rate. Instafreebie also host a forum where you can find group giveaways to be a part of. You need to be signed up and logged in to access it at www.instafreebie.com/forum. 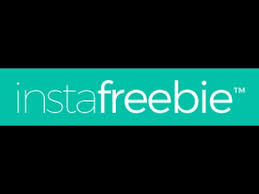 You can read all about Instafreebie’s features and sign up for your FREE PLAN at www.Instafreebie.com. Overall a really informative interview!